Since the earliest microscopic description of 15-20 species of 'animalcules' in the rumen (Gruby and Delafond, 1843), a few landmark discoveries have changed scientists' understanding of the rumen, its microbial ecosystem and the relations between rumen fermentation and ruminant nutrition. The demonstration that cellulose was digested by microbial activity in the rumen (von Tappeiner, 1884) was a seminal discovery, as was the importance of the microbial fermentation products, the volatile fatty acids, as nutrients for the host animal (Barcroft et ai, 1944). By applying habitat-simulating principles to growth medium formulations Hungate (1947) was able to grow the strictly anaerobic rumen bacteria in vitro, an accomplishment that had hitherto been impossible and which enabled rumen bacteriology to begin in earnest. Orpin's (1975) discovery that strictly anaerobic fungi were significant commensal organisms also changed our perception of the rumen in a very significant way. Virtanen (1966), who maintained lactating cow« on a protein-free diet for many months, the microbial amino acids being synthesized from urea-N. This result was to some degree predictable, however, based on the many in vitro studies carried out by Bryant and his colleagues (Bryant, 1973). The review by Chalmers and Synge (1954) was among the first to assemble all known information about nitrogen metabolism in the rumen; it is worth returning occasionally to this excellent review as a historical perspective to appreciate how our impressions of rumen N metabolism have changed. 15.1. 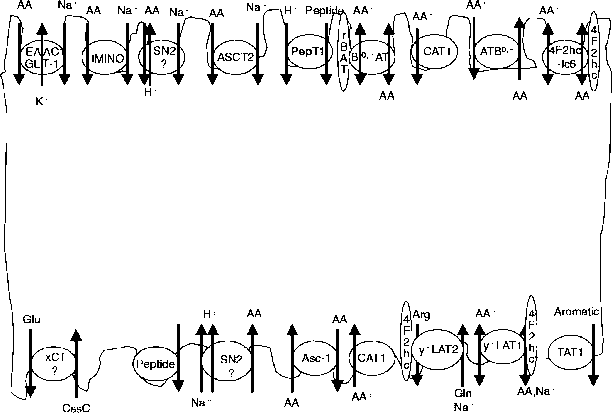 Protein metabolism in the rumen. This might not achieve the goals of animal production, however, if providing more amino acids were to increase the rate of fermentation of the energy source and thereby increase feed intake. This chapter aims to review amino acid metabolism by rumen microbes, both in pure and in mixed culture, in a nutritional context.